We're very pleased to announce the first confirmed supports for Muse's shows this summer. Editors will be joining the band at Berne Stadium in Switzerland on 02.06.10 while Kasabian will be performing at San Siro on 08.06.10 and at Stade de France on 12.06.10. We'll be announcing the rest of the line-ups for these shows and all the other summer dates over the coming weeks so stay tuned to muse.mu for more info! We're very pleased to announce the first confirmed supports for Muse's shows this summer. 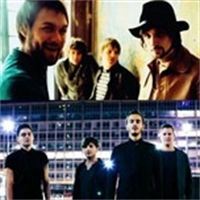 Editors will be joining the band at Berne Stadium in Switzerland on 02.06.10 while Kasabian will be performing at San Siro on 08.06.10 and at Stade de France on 12.06.10. We'll be announcing the rest of the line-ups for these shows and all the other summer dates over the coming weeks so stay tuned to muse.mu for more info!